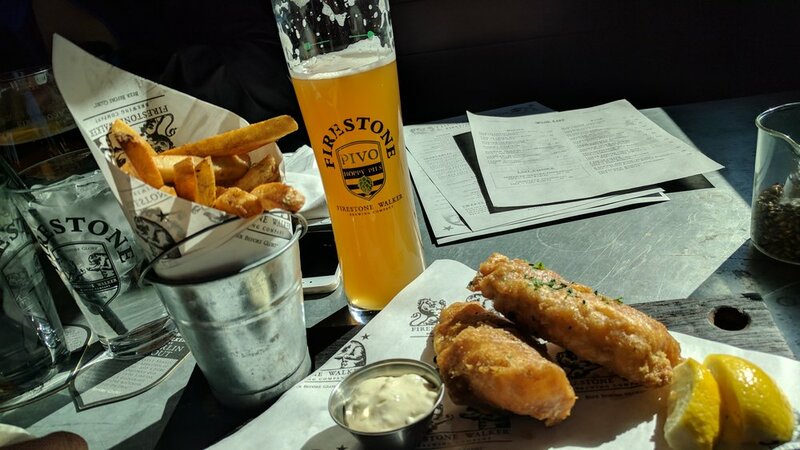 Drink, then Eat: This Venice brewery could easily become your favorite go-to with an excellent gastropub menu with a huge on-tap beer selection. 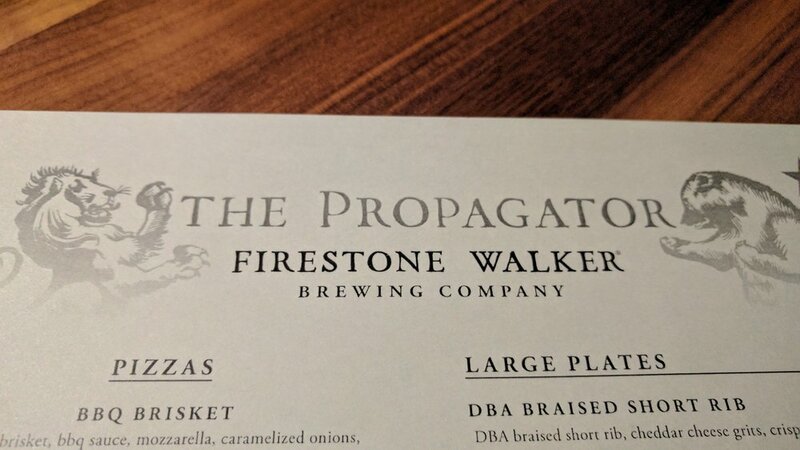 Last fall when Firestone Walker announced they were opening a new brewery/gastropub in Venice, I met the news with skepticism. While a fan of craft beer, the gastropub concept can easily be overdone and overpriced. 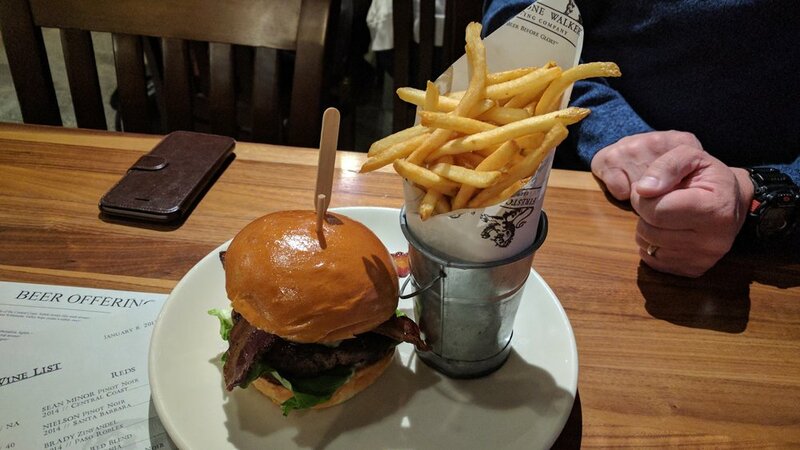 Much was my surprise when I recently visited the Propagator on three separate occasions - for brunch, lunch, and dinner - and found the food and service consistently excellent in a great, open concept space touched with shades of steampunk. First and foremost, this is a brewpub, so it lives and dies by the beer list. On each of my visits there were over two dozen varieties on offering. Luckily, you can create a flight experience from any of the available beers, allowing for a tasting experience that won't break the bank. The Sunday "Beer Brunch" menu had a nice selection of offerings, my favorites being the short rib hash and the breakfast burrito, both of which were excellent. The regular lunch and dinner menu includes traditional pub fare - burgers, fish and chips, and since we ARE in LA - tacos! Each was filling, tasty, and had a healthy Southern California twist. 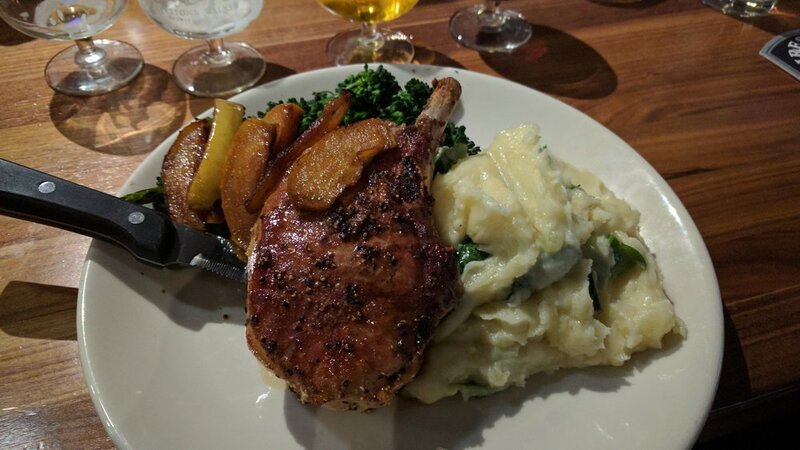 My favorite dish by far has been the grilled pork chop - a thick, juicy chop that comes with roasted apples and garlic mashed potatoes filled with perfectly wilted spinach. A large bar and lounge area are set up to accommodate the more social crowd, and the dining room is clearly designed for groups from two to twenty, with an emphasis on oversized tables. There is a very large parking lot and a retail brewery store on site for when you want to take your favorite beer home after your tasting. 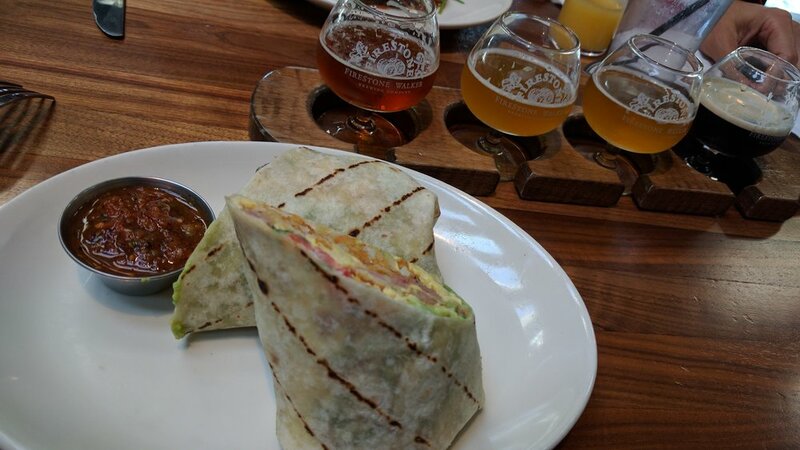 Great beer, good food, great atmosphere and very consistent service have quickly made this location one of my favorite go-to's for a meeting with friends. Besides, I've only made my way through a third of the beer list, which rotates often, giving more reasons for a return visit!